As the title says I am currently in the process of replacing my gen 1 steering wheel with the triangular airbag to a gen 2 sports steering wheel. My car is a 2007 tip with the normal tip button gear change plus multifunction. The wheel I have fitted is a 2010 PDK sports wheel with the standard shift buttons (not paddles) nor has is got the multifunction,which I am not too bothered about. So far the wheel fits fine and is a great improvement on the old wheel. The horn works, no airbag warning lights or any other problems. Obviously the PDK buttons do not work with Tip box. My next thought to make the wheel work with the Tip box would be to replace the steering wheel control module for a gen 2 unit and have it coded for a PDK car. My question is has anybody done this mod? If so is this the way to make it all work? If no one can help me then I'll go on my own and let you all know the outcome!! If it all works out it will be a great mod and so far in Porsche world not to expensive! Look forward to any useful input. There are threads about this on the US forums. A few have managed to get it to work. Good luck. I have 997.1 tip turbo and want to ditch the switches in favour of paddle shifts. Am currently exploring getting a manual wheel and transplanting some paddles by modifying the wheel. Am interested to see how you get on! Read this thread, everything you need to know. You can fit a PDK wheel on a Tiptronic. 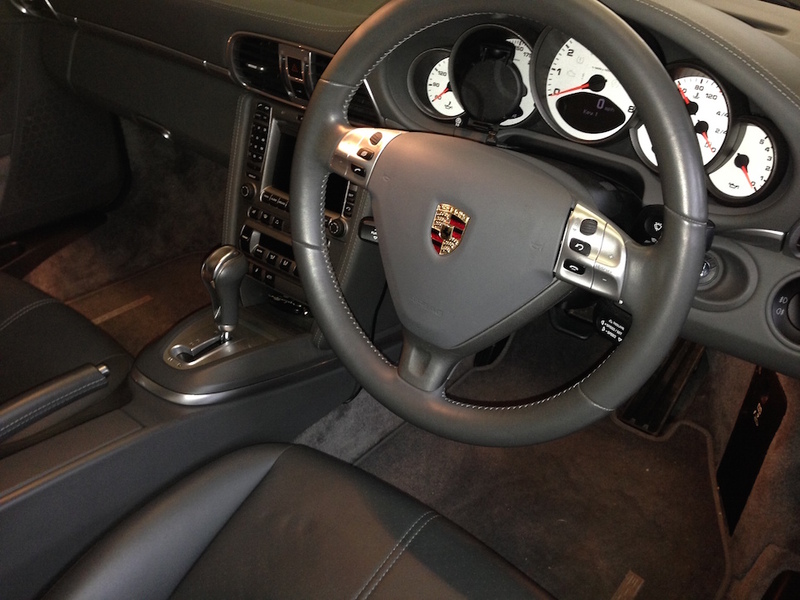 Oem 997.2 paddle steering wheel works on 2007 and 2008 models without problems. We installed it to 4 cars here. but you have to go to the dealer for coding of the new electronic unit. It works even on 2008 Carrera 4s which i have done today. Dealer must get into Coding section of the Steering wheel in PIWIS menu. They must code the steering wheel as "PDK". The control module part number that isysman said to fit is the one I have got. So it looks like a doer ( do err? ). So a trip to Malton next week for a bit of messing on PIWIS and a way we go hopefully. I've seen paddle shifters for retro fit on the FVD website I think which may be of interest. Anyway I'll let you all know the outcome of this mod with some pics and prices and detailed info. So far we are at £ 800 in parts. Unused wheel £150 s/hand airbag at £400 & new control unit @ £200 plus. My labour free PIWIS Coding ?? Maybe £50 if I'am lucky. Excellent. Let us know how you get on. I was looking at removing my wheel, which is a non multifunction tip, and adding some (Mercedes as it happens) paddles and just splicing the control wiring into the existing tip switch wiring. I guess I then have the choice of leaving the tip switches functioning or bypassing them altogether. I'm looking for a spare wheel to do this on so if I mess up I can still drive mine! That's interesting I was looking at doing the same with my old wheel. Only difference was I was going to use Audi paddles. So I took my wheel apart to see what was possible with my skills. Naturally each control has a circuit board and micro wiring. So not a job for me, but no problem for someone into electronics. Hence my route to upgrading the wheel and using existing Porsche components. I'll keep you posted on my progress and as your in Yorkshire we can always get together to look at solutions. Could be a lucrative modification to market!! Indeed. I know a very clever retired electronics wizard too so it's perhaps worth exploring. Long time member but first post. I have done this to my 06 4s Tip and it does work including all the multifunction buttons and the pdk up/down shift. 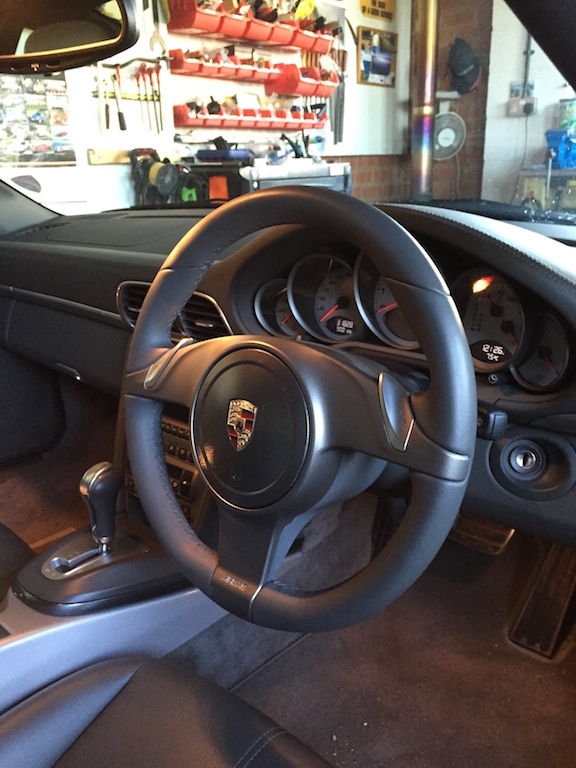 My plan now is to add the Techart retro fit paddles so I can have full multifunction control along with just the paddle shift for up and down like the original Porsche sports paddle steering wheel. isysman's post has all the information I used to do mine. Let me know if you require any further info. Well I have managed to locate a replacement wheel which is the same as the one on my car. Ordered Mercedes paddles which look like they may fit and located tiptronic switch wiring diagrams. Will experiment and if it works will post a step by step tutorial. If it doesn't i will have two useless paddles and a hacked up wheel for sale !! I've bought a gen 2 wheel and control module, but my mechanic couldn't get it to work in my 2007 997 turbo. Is it worth me bringing it up to you to have a go? apologies for not following up on this thread I started. Better late then never here is the outcome. All I really wanted to do was replace the old thin wheel with triangular air bag for the newer sport PDK thicker wheel. So I sourced the wheel in my interior colour without multifunction ( which I didn't use anyway ) with the standard PDK controls. Then a secondhand round airbag to go with it. Then the later control module part Number 997.613.289.01. Fit the new module which is on the steering column holding the indicator, washer/wipe, cruise control etc. New wheel and airbag. Took me about 1 hour but I know my way round cars ! After that because the module is supplied blank certain things may not work .....like on board computer, TPMS, horn, Pdk controls, cruise control etc etc and the PSM may be on. Don't panic it's all sorted on a PIWIS. The first specialist I took it to for coding couldn't sort it, maybe because his software on the Piwis was 2007 ! The second specialist I went to although never having done this mod before sorted it in 15 mins ! ! All works fine now no problems. If the wheel anyone is fitting is paddle shift with multi-function it won't make any difference the module for the multi is in the wheel and the paddle shift function is just a change in wiring again within the wheel ...as far as I know. Any more info please ask. And after...much nicer in my opinion. Better late than never copmots! So just in case anyone finds this thread who is looking to put a gen.2 wheel on their gen.1 but their car is a manual, then it is also possible. I did this last year in my 2007 997 Turbo. Straight forward and my car didn't require any coding. Fitted the wheel myself. I had an airbag light on because I fluffed the airbag fit the first time and Mike at Sports and Classic kindly reset it it for me. (Now I have a Durametric). I'm told that if your car has a multifunction steering wheel initially then no coding is required. If however you don't, then you may find the horn doesn't work. If this happens then you need to have the coding for multifunction activated to make the horn work. So i've been trying to get this to work on my 2007 turbo, but no luck. I've been speaking with copsmot and isysman in the background (thanks). I bought a new PDK sport design wheel, i.e. the one with paddle shift not buttons, and the correct gen 2 steering module. I found an indie with a PIWIS 2 v14.75 system (PIWIS v34.00 won't work i tried). They fitted the steering module and steering wheel. Then changed the setting in the PIWIS 2 to PDK. They could tell the messages were going from the steering wheel to the steering controller, but were not going from the controller to the gearbox as it wouldn't change gears. Anybody got any other suggestion for what to try before i sell the wheel and controller on eBay (or get a gen 2 turbo, whicher is easier)? Just reading on this thread. There is someone on there who had his sport design wheel fitted and working, not a Turbo but shouldn't make any difference. I would say that if you are trying it without and airbag you can't be sure that is not causing the wheel not to work properly. I would get it fitted with an airbag and try it. You will have no trouble moving it on if you can't get it to work. Another thing, which sounds crazy but I would try setting your car to having a Multifunction steering wheel. My car had one fitted originally as did copmots and we've had no issues. Worth a try. Also make sure you have the right control unit. Just spoke to the indie. They are saying that the gearbox control module on a turbo is different to the NA cars and that's why it isn't working on my 07 car even though it is on copmots 07 car. so looks like i've got some selling to do. So are they saying it won't work or you have the wrong control module? it won't work. they tried using both the old and new module.